Delaware has a feature that no other state has – a perfect arc for its northern border. Most other colonial borders were either formed by meandering rivers, straight lines from point A to point B, or were carved out by coastal waters. But somebody somewhere made the decision to turn the northern border of Delaware into a smooth arc. What’s up with that? The original settlers in Delaware territory were Dutch and in fact the state was named after Lord De La Warr who was a Dutch explorer and an early Governor of Virginia colony. The name “Delaware” stuck for the state, the bay, the river and an American Indian people. When the English ousted the Dutch in 1664, King Charles II of England had a hand in determining Delaware’s borders. 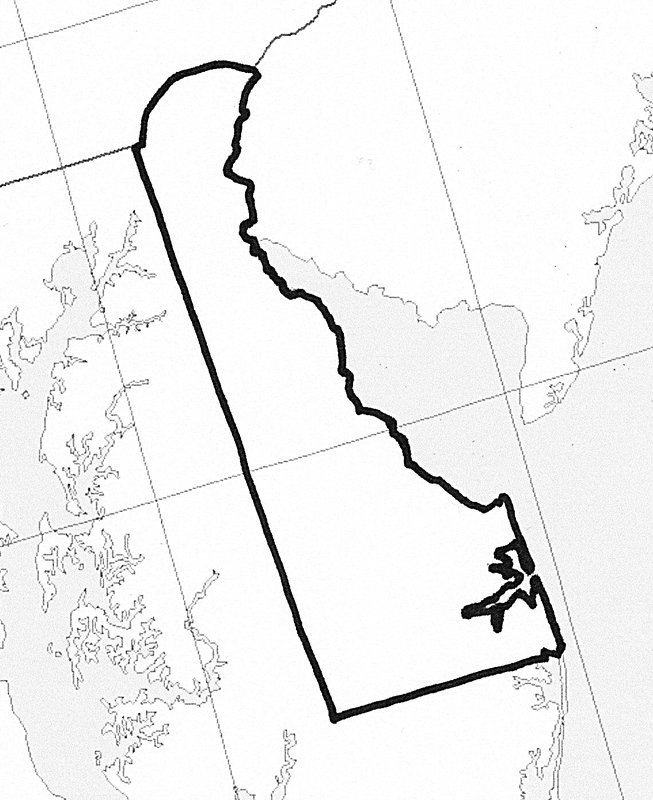 It was his idea to carve out the unusual arc shaped northern border and in those days the king had the final say. He declared that the border be set as a 12-mile radius surrounding the Dutch settlement at New Castle. It took a couple of tries before they had a final version. The center point of the arc was originally set as the steeple of the old Dutch church in town, but was later changed to the courthouse because the end of the arc didn’t correspond well with the straight western border that would later be officially surveyed by Mason and Dixon. The original arc left a sizeable area of “no man’s land” that didn’t have any jurisdiction at all, so with a tweak of the start point they made all of the points line up, and the rounded border remains to this day. Why does Nevada come to a point at the bottom? It didn’t always look that way. 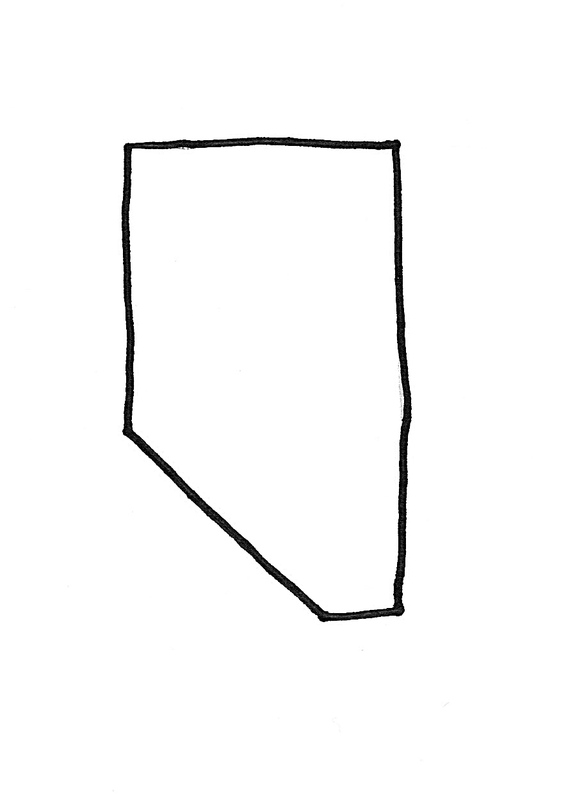 When the territory of Nevada was first being formed the boundary lines created a more rectangular shape with a sideways notch cut out to accommodate the border of California. Who looked at that map and said “What this state needs is a point”? Nevada was carved out of the much larger area called the Utah Territory about the time that silver and gold were being discovered in the mountains. Over the course of several years the boundaries that defined Nevada kept getting wider and wider as the gold discoveries kept spreading. And then Congress wanted the desert territory to enjoy access to a substantial waterway, so it was widened a third time to get a piece of the Colorado River. But it still didn’t have a point at the bottom. What happened? When Congress granted Nevada the area that is now the point, its intention was to give the new state even more substantial access to rivers that could allow transportation to the Gulf. This time the land they claimed was taken from the Arizona Territory, and that decision was met with an angry response from Arizona who wanted that river access just as fervently. But Arizona was never going to win that dispute. During the Civil War they had aligned themselves with the Confederacy and were not likely to gain any favors from the prevailing Union. 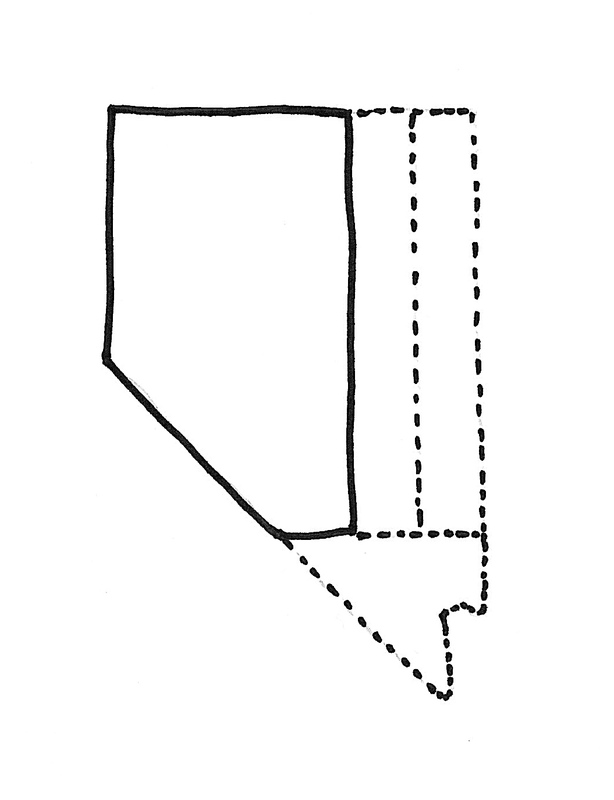 Nevada eventually stopped growing and kept their width and their point. I’ve been asked to talk a bit about my series of children’s books, so this post will be a brief hiatus from the states research. 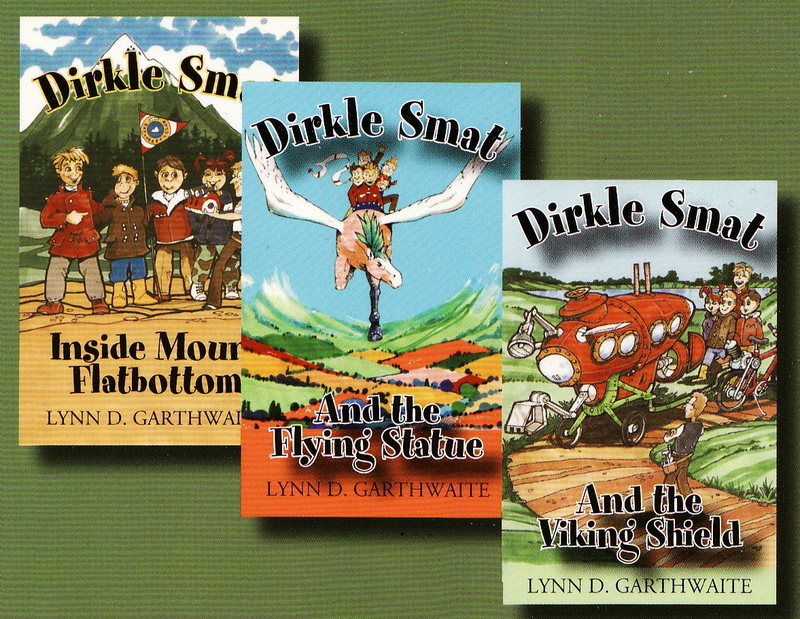 When I first conceived the idea for my Dirkle Smat series I thought they were going to be picture books. It quickly became obvious that my stories didn’t lend themselves to the 32 page picture book format, so they gradually morphed into beginner chapter books. I had two concrete thoughts early on: I wanted each story to be a fanciful adventure that would draw in young readers and encourage them to enjoy the other worlds that books can create. And I wanted my characters to have goofy names. The goofy names were a hook. I hoped that they would cause delight in my target audience (4 to 10 years old), and make the stories memorable so they would come back to the books and keep reading the series. From the feedback I’ve gotten doing author visits I can tell that kids get a kick out of Dirkle Smat, Toonie Oobles, Fiddy Bublob, Bean Lumley and Quid Smat. Three books are currently published and available (http://tinyurl.com/43roovy) and the fourth is awaiting cover artwork from the illustrator. The stories include a discovery deep inside a tunnel, a fantasy flight on a statue that has come to life, an adventure in a submarine to search for a long lost artifact, and an encounter with a time traveler who takes the Explorers back in time to uncover an old town mystery. More stories to follow soon! If you have a child in your life who would love a little mystery with fun characters and high adventure I would be happy to arrange to have a personalized copy sent to you or them. Alabama looks almost exactly like Mississippi in a mirror. Previous to Alabama becoming a state the country had admitted 21 states to the union and not one of them looked like any of the others. 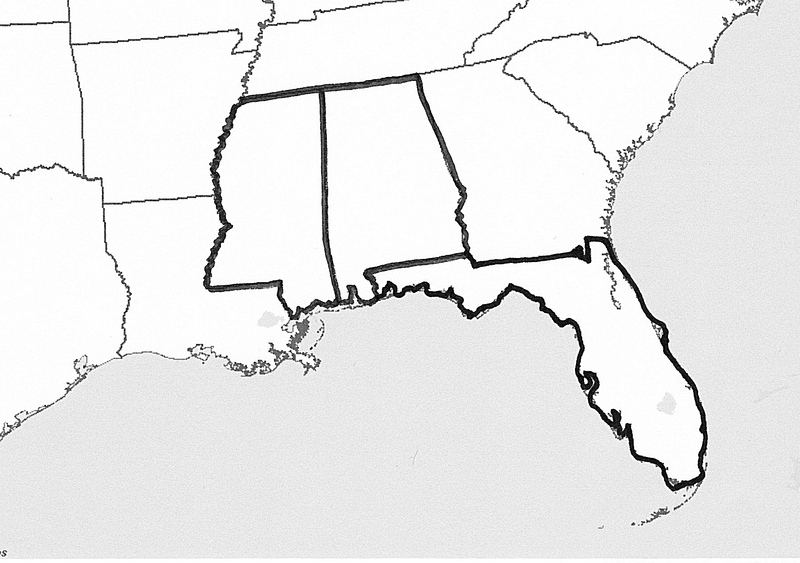 Why did Alabama end up as a carbon copy of another state? Alabama and Mississippi were both carved out of the larger territory known as The Georgia Territory at a time when the government believed we would be better served having a greater number of small states, rather than a handful of very large ones. Massive territories were being cut into smaller ones, and thus the “Mississippi Territory” was born. Some time later this new territory was cut in two. 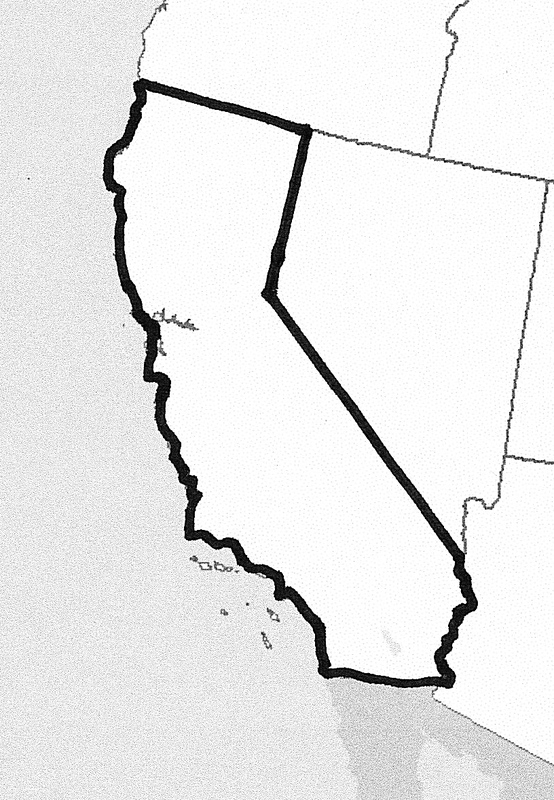 But what about the notch on the southern border of each state? For many years Spain’s claim to Florida included a long panhandle that extended much further west than the panhandle of Florida we know today. Alabama and Mississippi’s southern borders would have been a simple straight line except for the fact that when the War of 1812 was approaching, Spain lost the ability to focus on their ownership of Florida and relinquished its hold on parts of the panhandle, although not entirely willingly. Congress broke up the tracts of land in the panhandle that it had seized. The first chunk was awarded to Louisiana and the second chunk was awarded to the Mississippi Territory. When that territory was divided in half to become the states of Mississippi and Alabama, a line down the middle created the notches in the southern boundaries of both states. Unlike the lower 48 states, there weren’t too many border decisions when the United States bought Alaska in the 1867 transaction that came to be known as Seward’s Folly. The space was essentially already defined because Russia and Canada had already created a straight line boundary at the 141st Meridian, but why does Alaska continue to snake several thousand more miles south along the coast of Canada? This region, called the Alaska Panhandle and circled below, was already a stretch of land that Russia laid claim to when they owned the territory. When William Seward negotiated the purchase from Russia, he also accepted Russia’s map as evidence of just what he was buying. But Canada had a different perspective based on extremely vague wording of the original treaty with Russia – so they set about to dispute American ownership of the panhandle. Unfortunately for Canada, they trusted a British judge who was appointed to the Alaskan Boundary Tribunal, formed to settle the dispute. The tribunal consisted of three Americans, two Canadians, and one British judge. Rumor has it that the Brit sided with the American position because President Teddy Roosevelt had hinted that if America did not prevail in the tribunal he may choose to just take it by force. Another rumor was that Britain was looking for American help in an arms dispute with Germany at the time. In the end a treaty was signed and the United States retained ownership of the panhandle which had long been a popular route for ships and traders. It later became one of the routes to the Yukon when gold was discovered. 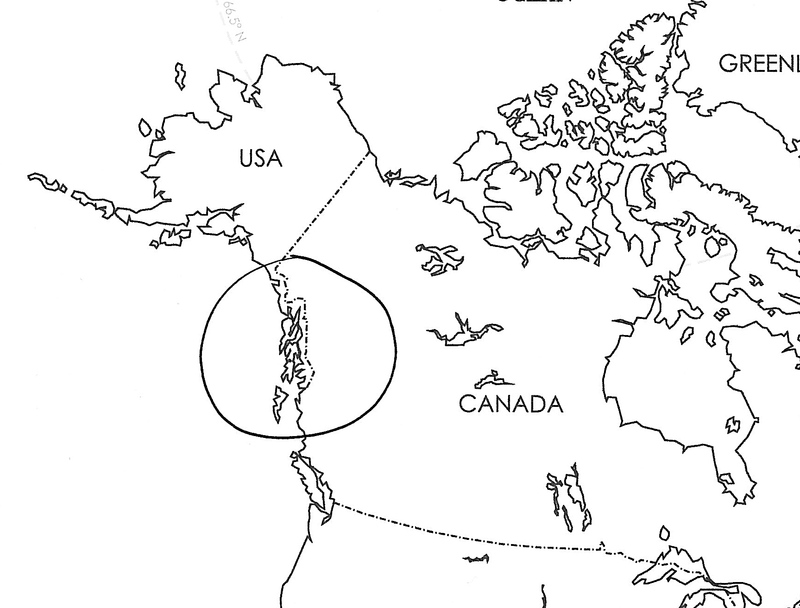 Imagine living in the northwestern part of British Columbia and having to pass through the United States to get to the coast? When you look at the map of the United States, Maine looks like it was a late add-on, as if the original settlers wanted to tack on another state to extend as far into the other British territory (Canada) as they could. Maine wasn’t one of the original thirteen colonies, so how did it appear where it did? The state of Maine originally began as part of the Plymouth Colony, which was later renamed the Massachusetts Colony and it stayed that way until after the American Revolution. When it came time to settle the Maine border, plenty of people had differing opinions on where it should stand. At stake was the very definition of what constituted the United States, and American interests were busy creating settlements as far north as they could. For the British who were establishing territories in Canada, the St. Lawrence River was a jewel in their crown. They had no intention of allowing the despised revolutionaries cut them off from this important line of commerce. The early versions of the treaty contained language that was vague and unclear so the task of settling the border dispute was ultimately turned over to the Dutch to act as a mediator. But neither side particularly liked the compromise proposed by the King of the Netherlands, and they continued to bicker, mostly because they both coveted the rich timberlands there. Before it was finally settled, a border skirmish called the Aroostook War (named after the valley) broke out. The war was bloodless although there are rumors that the conflict did bring one casualty – a pig that wandered across contentious lines. Finally in 1842 Daniel Webster brokered a treaty and the final border is the one that stands today. Americans probably should have taken the compromise offered by the Dutch King because it would have given them a bigger chunk of land than the ultimate treaty of 1842.